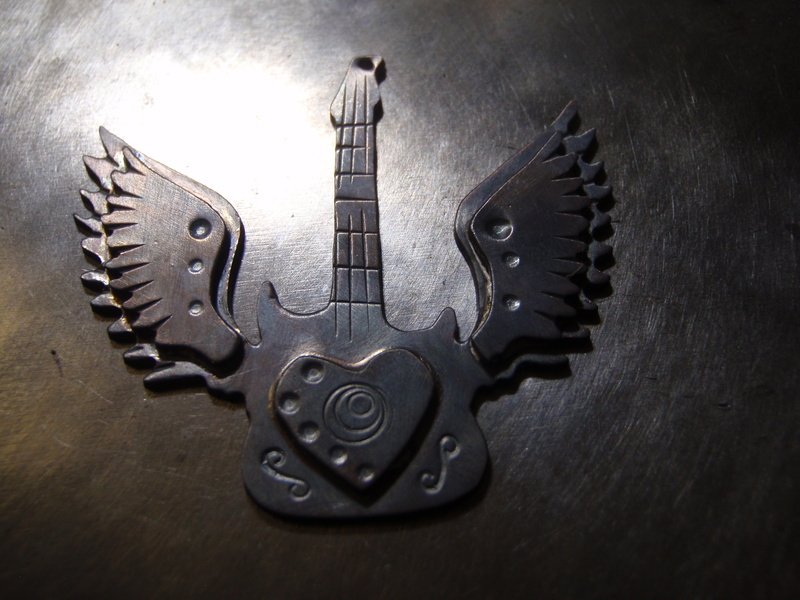 This guitar pendant is a bit more involved and I would categorize it in the more intermediate difficulty. 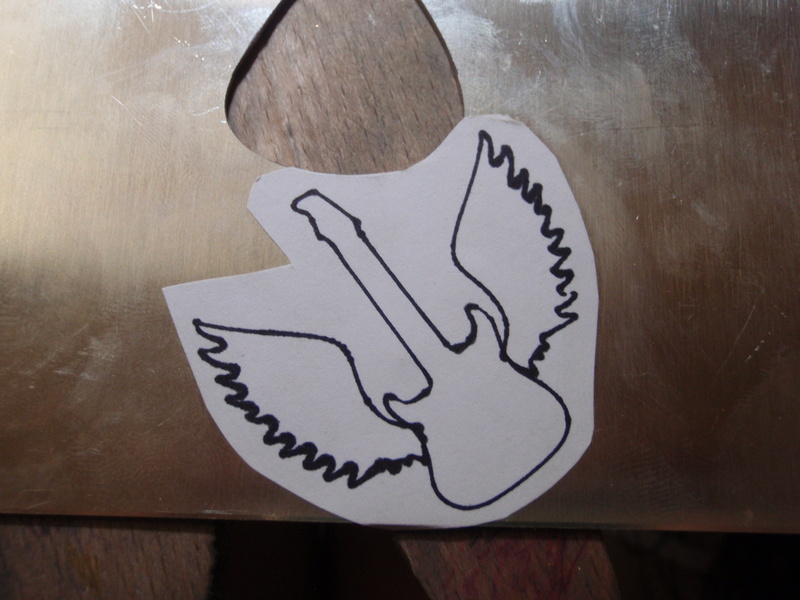 and here is how to do it . 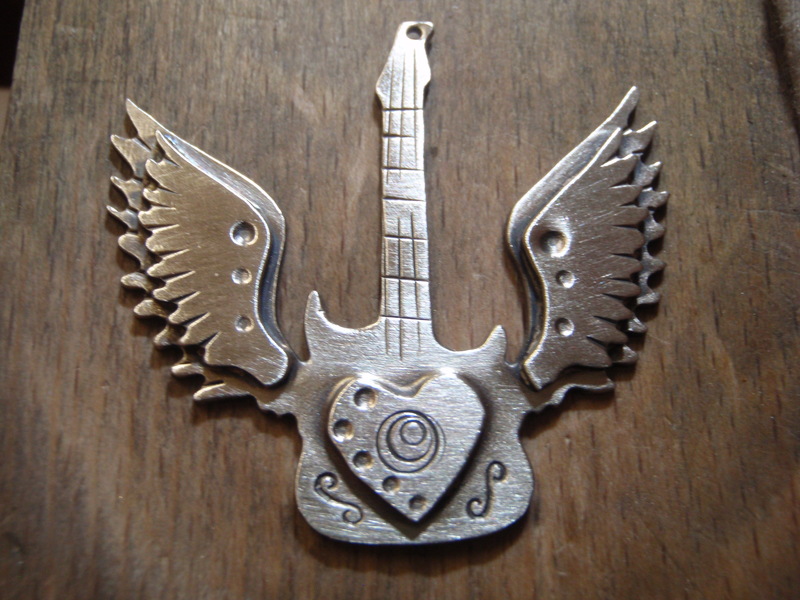 Draw your guitar with 2 wings attached on a piece of paper and glue to your metal – I use 18 gauge sterling silver ( if you go thinner then that your fretboard might bend on you. 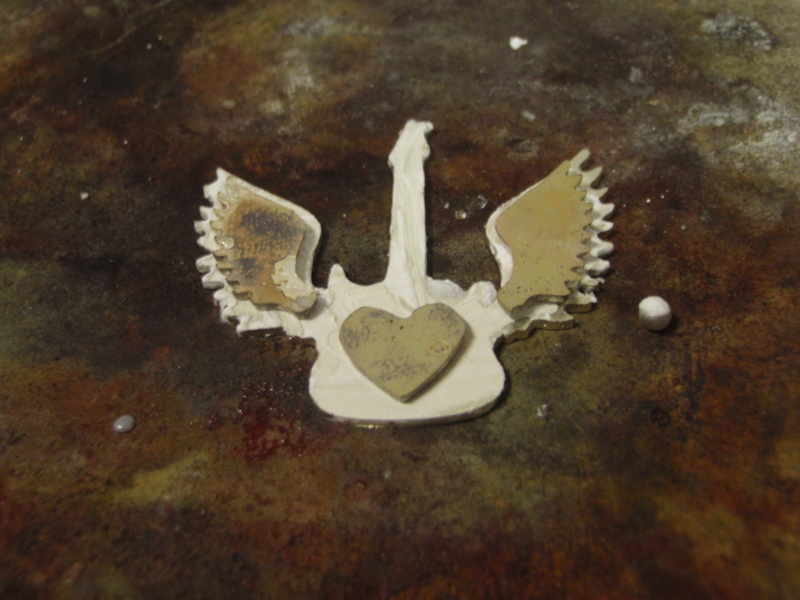 Draw a second set of smaller wings separately and glue this also to the sterling silver . 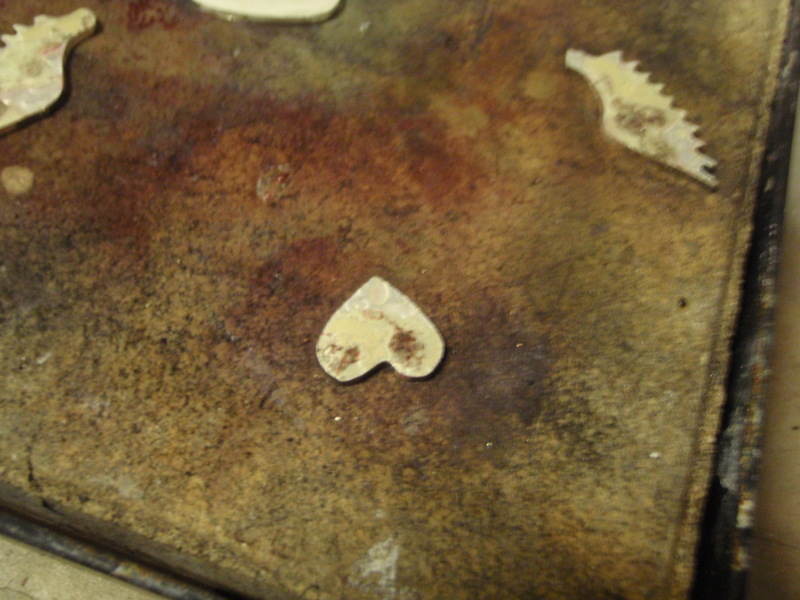 Cut everything out with your jewelry handsaw . 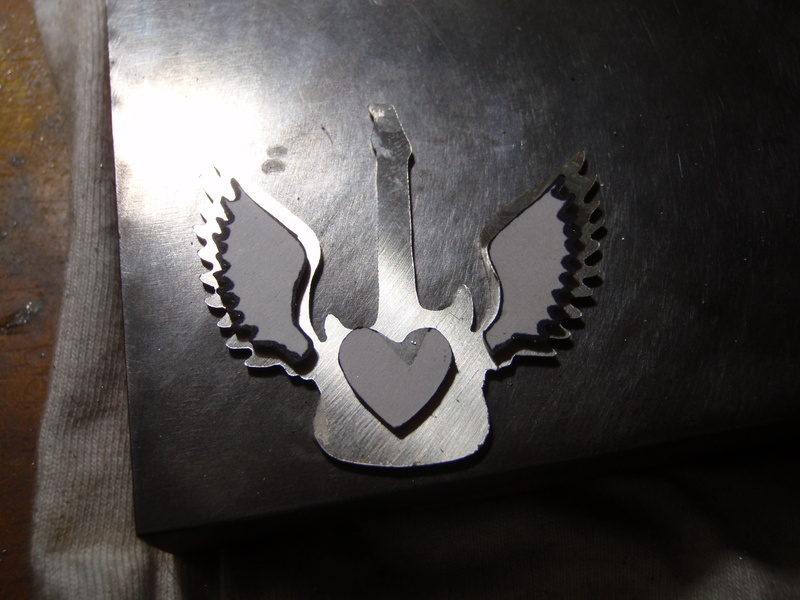 also cut out a heart. 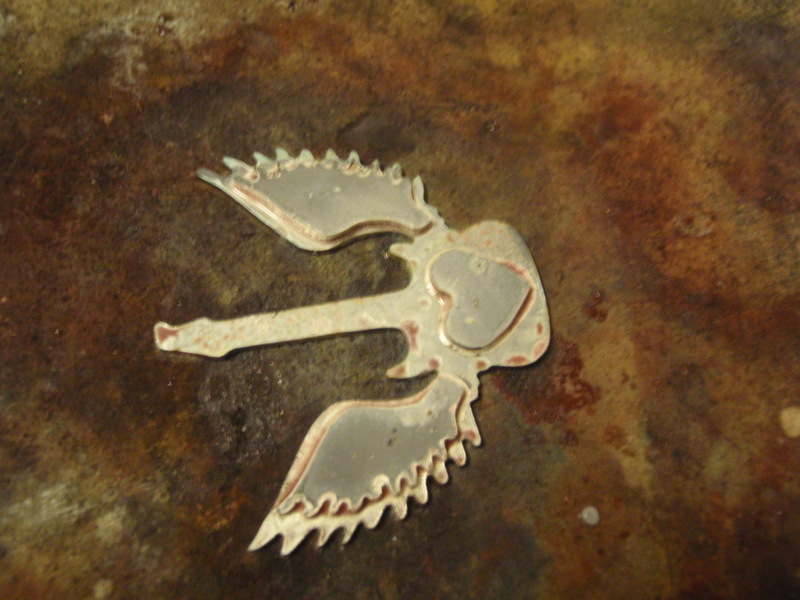 I use a 6 inch jewelers saw frame with 1/0 saw blades. 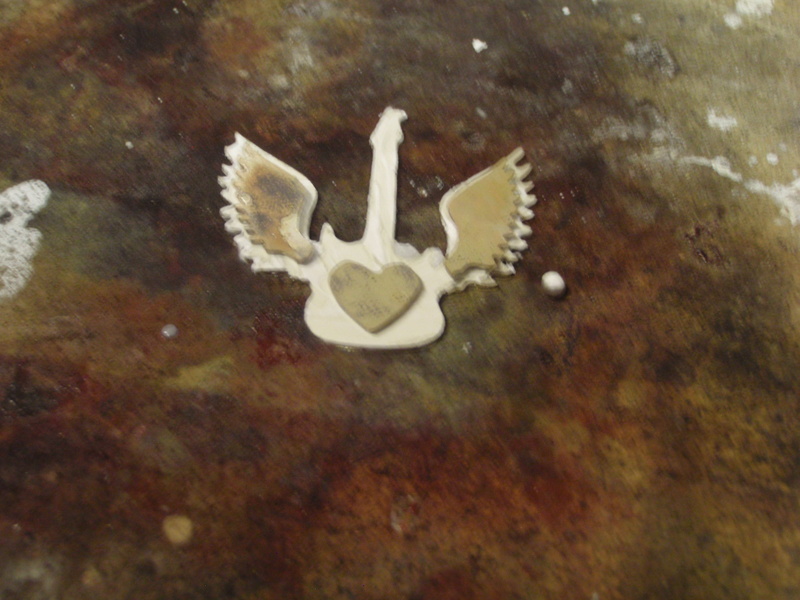 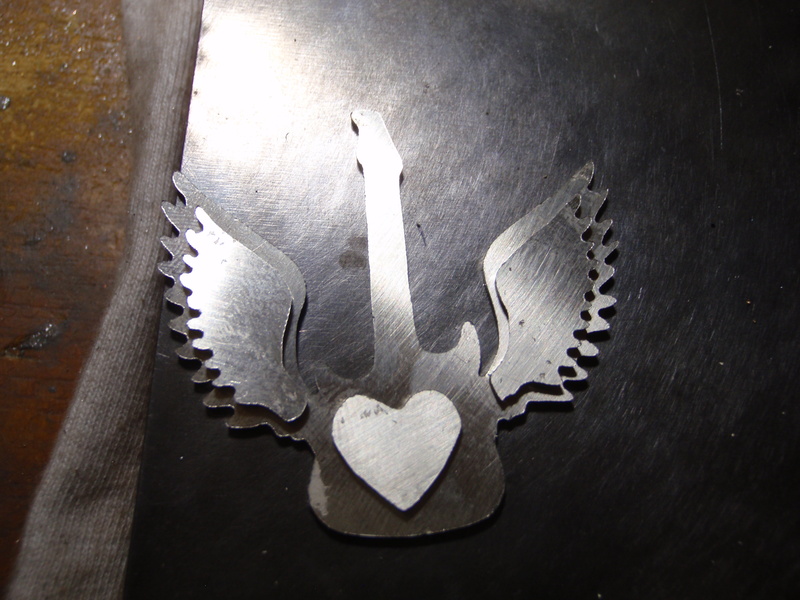 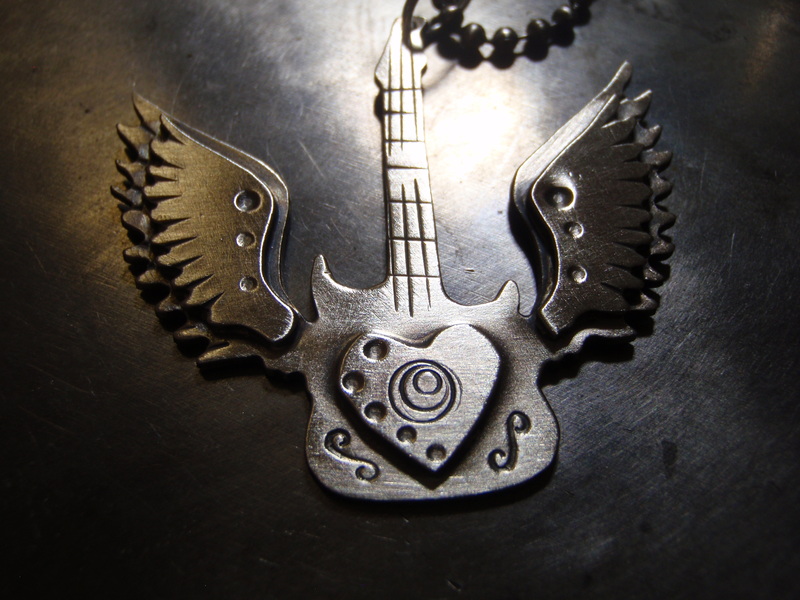 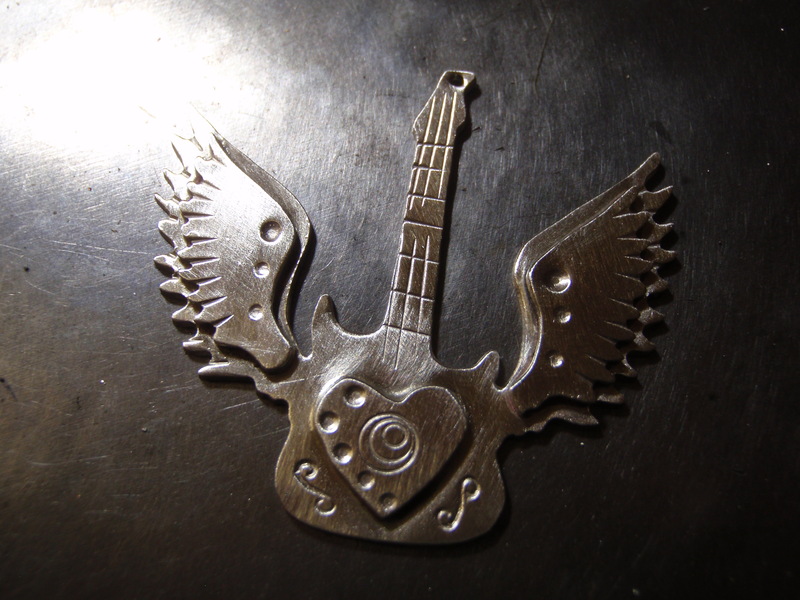 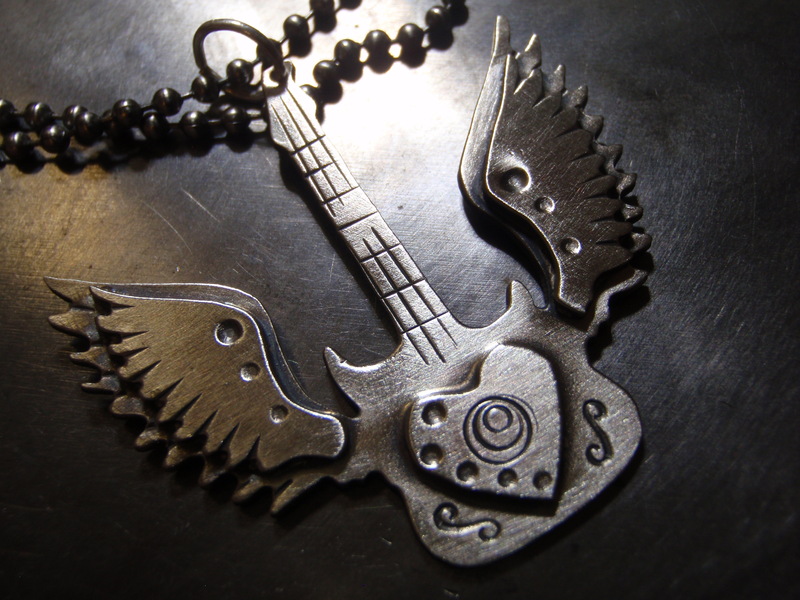 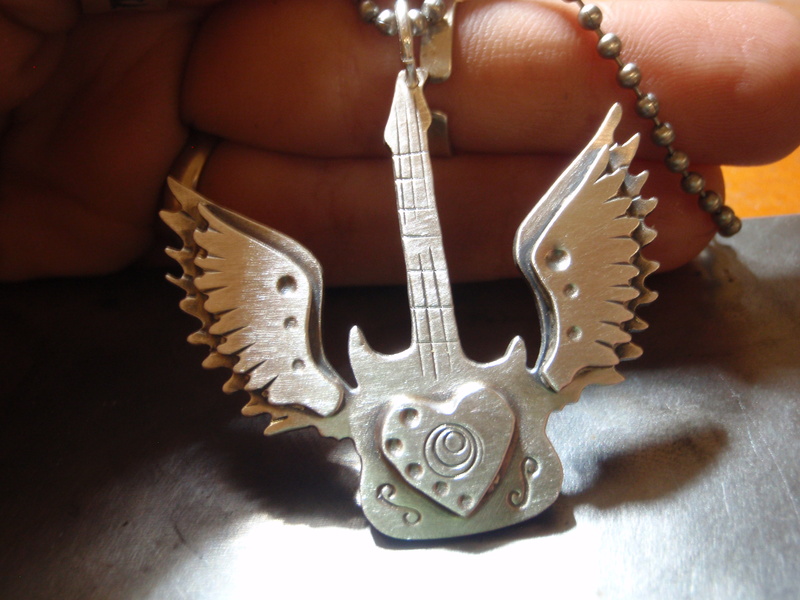 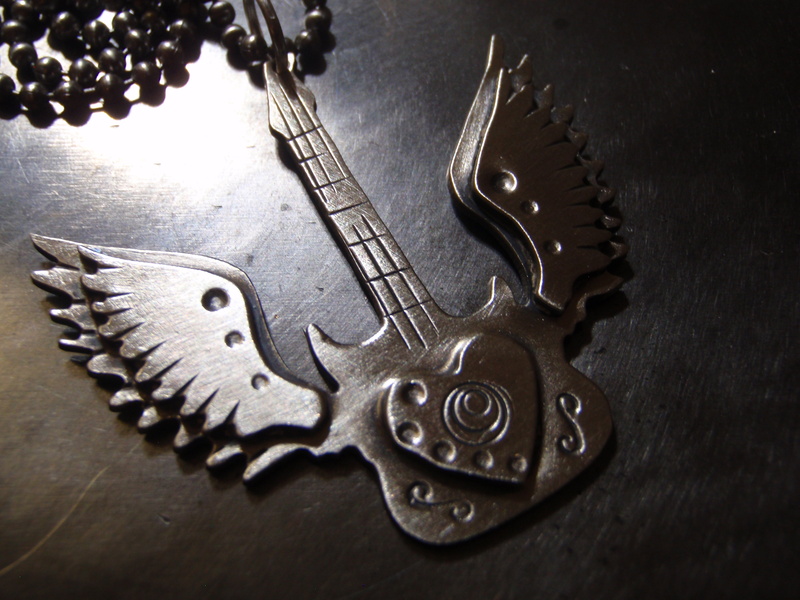 Flux the front of your guitar with the wings and put the smaller wings and the heart onto it solder site down . 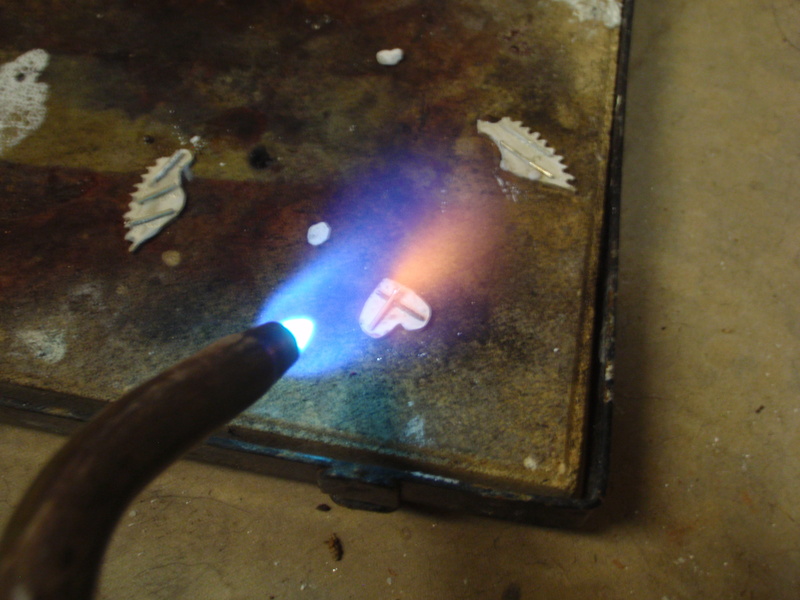 Heat again with your torch making sure to heat the meta evenly . 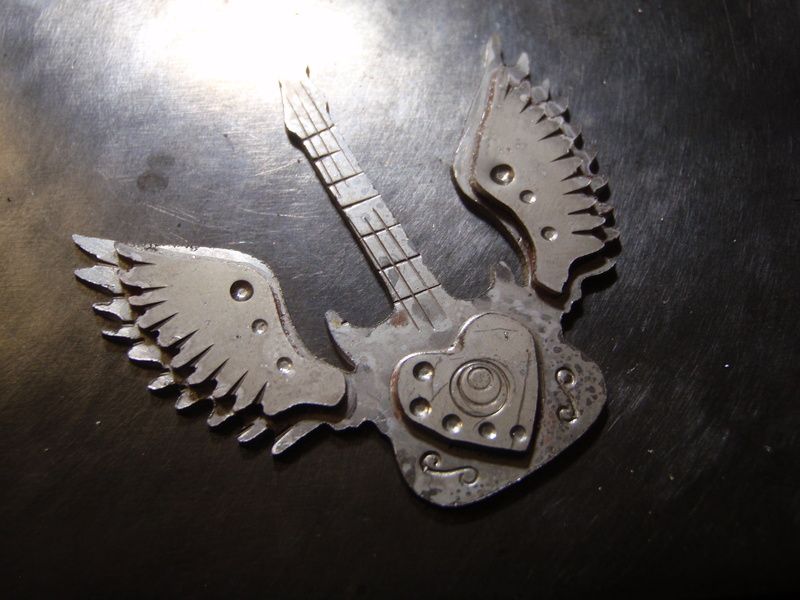 I usually darken the room a bit so I can see the solder flow around the edges better . 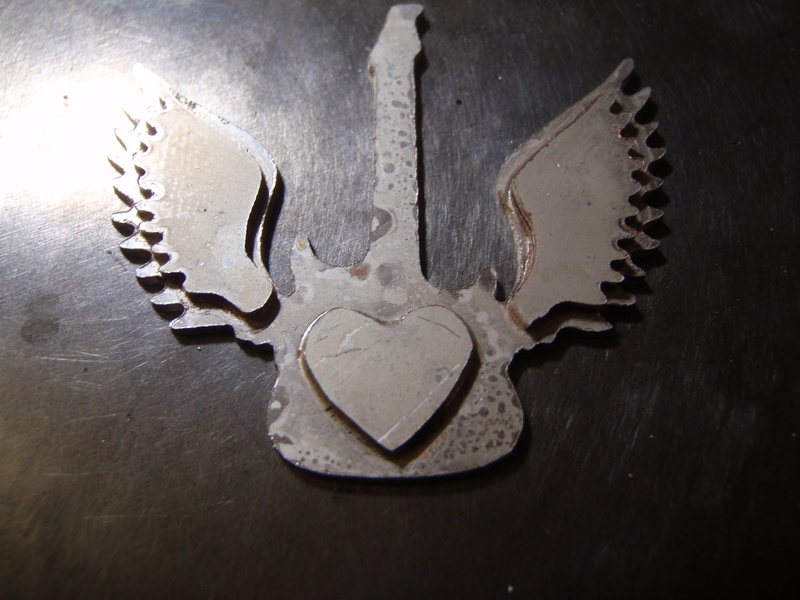 Usually when your metal gets to the red hot phase your solder should have molten . 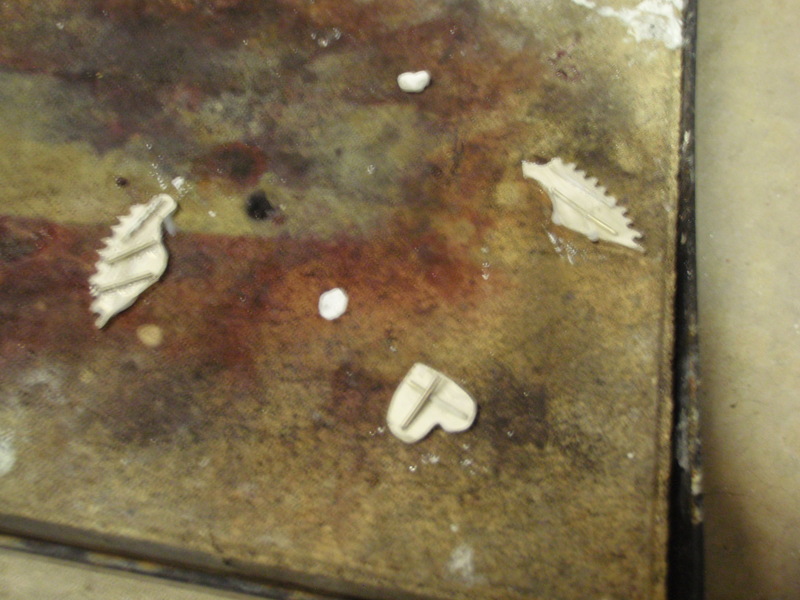 Quench in water again and take a look that there are no gabs . 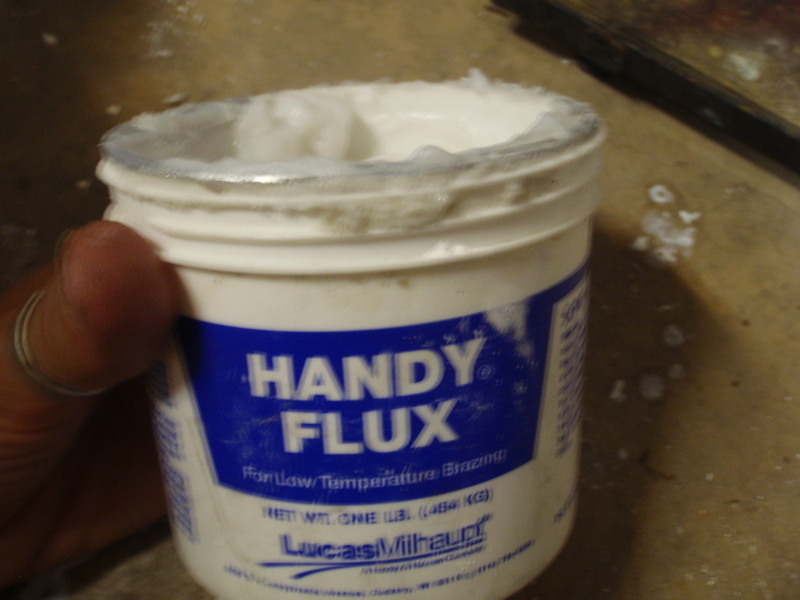 If no gabs you can put your piece in the pickle solution for the clean up. 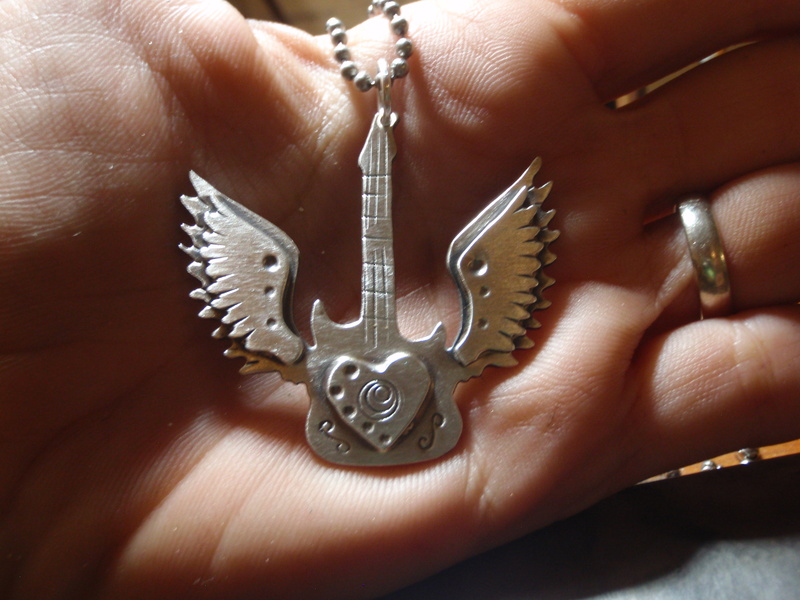 Your sterling silver will turn from black to a dull white when its ready to be taken out of the pickle . 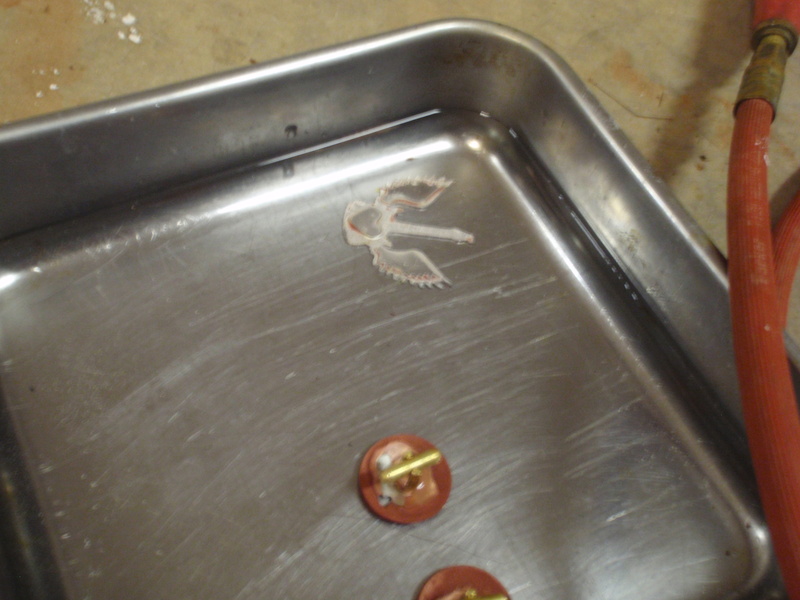 Take it out with copper tongues and only copper tongues or you might ruin your solution . 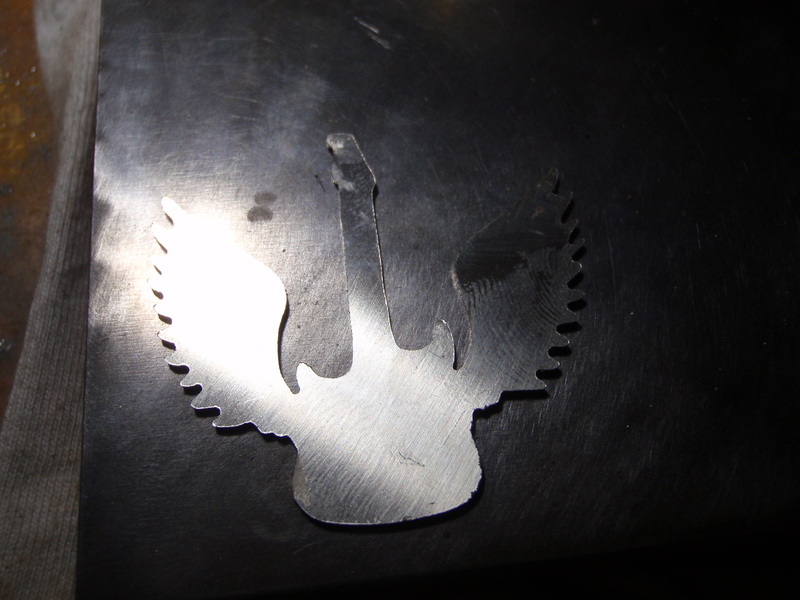 Never quench a hot piece in your pickle or touch with your bare hands . 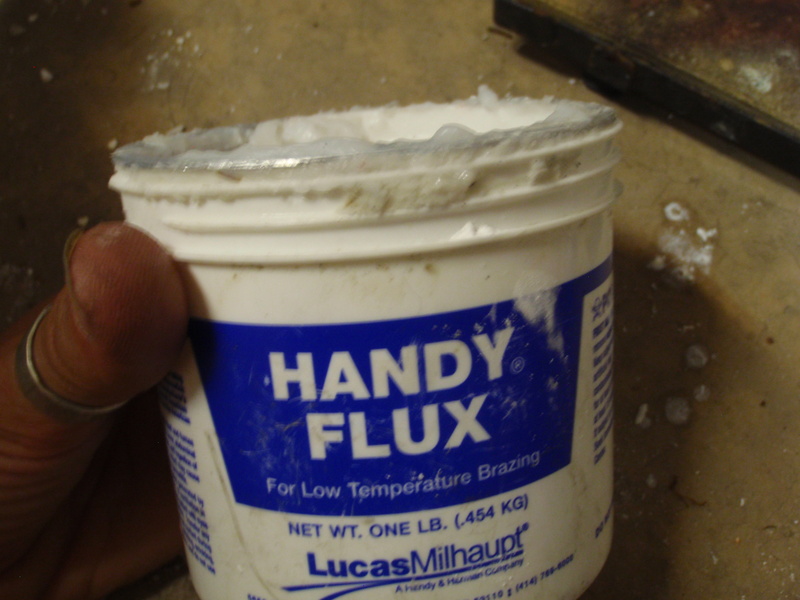 Its an acid and as such dangerous.